When a straight-to-DVD disc pops up on your desk entitled The Assassination, starring none other than Bruce Willis, you could be forgiven for expecting an explosion-laden action romp (especially when you check out the sleeve art). 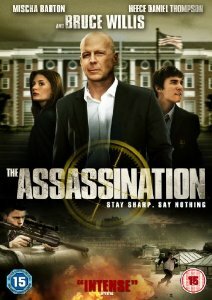 But things get a whole lot murkier when you realise the film was originally titled Assassination Of A High School President, Willis turns out to be little more than a bit-part player, the film is actually a comedy/drama/mystery mash-up and the movie was actually made way back in 2008. Somebody obviously thought the time was right to unleash this flick on a UK audience, but is it worth the effort? Well, yes and no if truth be told. Yes in that the film tries something a bit different, pushes its quirky vibe to the limit and has a likeable lead in the shape of Reece Thompson. But no in the fact that there are plenty of annoying moments, and at times the film clearly thinks it is a whole lot cleverer than it actually is. 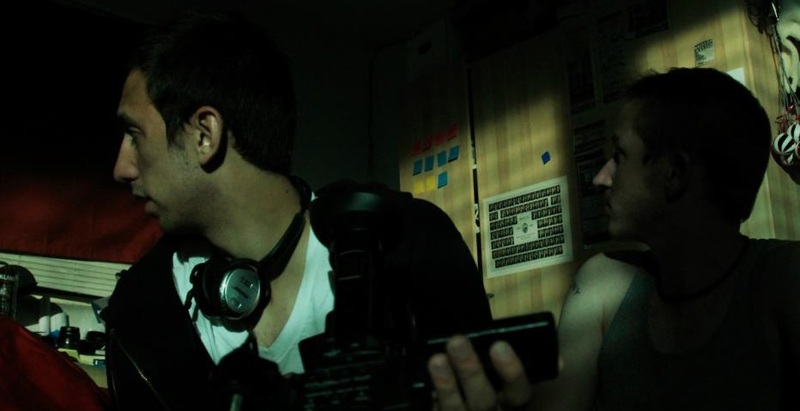 A sort of Chinatown-meets-Brick, the film centres on Thompson’s Bobby Funke, a budding writer who dreams of becoming a world-famous journalist. Eager to make a name for himself on the school paper, Funke starts digging around after a batch of the school’s exam papers are stolen. He manages to implicate the student president in the crime (Patrick Taylor), who is subsequently ruined and packed off to the loony bin. But, slowly but surely, Funke realises he may have thrust the blame on to the wrong man, and that there may be an even bigger conspiracy at play among the school corridors. Right from the start director Brett Simon’s film veers in tone from scene to scene – we get plenty of high school hi-jinks that could easily have slipped out of the American Pie series, plus a budding romance between Funke and Mischa Barton’s Francesca. That stuff is all so-so, but the movie keeps on track thanks to the element of mystery, a decent script from Kevin Jakubowski and Tim Calpin and a high school detective vibe that works in the main. Thompson is the driving force here, with his Funke proving a watchable lead, wading through the masses of idiotic wannabes that seem to populate every classroom. Barton does here usual fluttering eyelashes routine (and gets her kit off if that is your thing), clearly still trading on her OC popularity when this was made. Quite what Willis is doing in this is anybody’s guess, turning up as a war veteran-turned school principal, who drops in on a few scenes to mouth off and regale students with his military stories. As stated early on, the film does get a bit stuck up its own backside at times, with a number of scenes and lines of dialogue seemingly quirky or offbeat just for the sake of it. But the film never gets boring and at just 90 minutes the whole thing moves along at a decent pace. The Assassination is far from a great film, and I would hesitate in telling anybody to go out and buy it. But as a rental I think it is certainly worth a go.